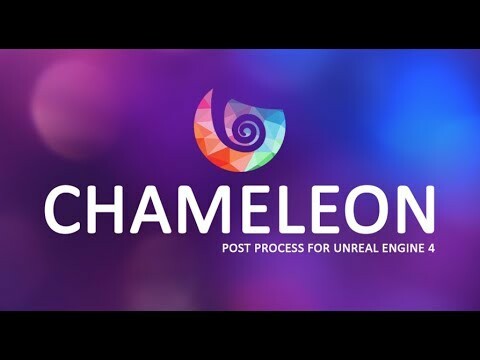 Chameleon is an advanced Post Processing blueprint actor for Unreal Engine 4. You will need to place only one Chameleon actor on your scene to access all of its benefits. Chameleon currently has 70 different (and combinable) post process effects with customizable parameters and planned to be updated constantly with new effects. Effect requests from the community would be appreciated! CHAMELEON IS NOT BACKWARDS COMPATIBLE. PACKAGE UPDATES ARE INTENDED TO BE USED AND DEVELOPED WITH THE LATEST STABLE UNREAL ENGINE VERSION AVAILABLE ON THE RELEASE TIME OF THAT PACKAGE. IF YOU WANT TO GET THE LATEST FEATURES THAT CHAMELEON OFFERS, PLEASE USE THE LATEST ENGINE VERSION. Last edited by SumFXSupport; 01-31-2019, 11:38 AM. I like this - How much will you charge for this pack? $ 24.99 is a starting price and it will be slightly increasing within the future updates (new effects). Nice hue panner is most useful for me. However the effect i look for the most is sharpen effect that mainly pops up normals more, havent seen that effect on sale or in UE yet. As for rain drops effect can it have steady raindrops, that are static on screen, or maybe to have them drip slower? Very cool. Looking forward to this! Awesome pack of functions. I would buy if I couldn't make all of them by my self But for those, who are not good at post process or do not want to make effects on their own, this will be VERY useful. What will be the price for it, by the way? Let me buy this now. PS: I've created 10 more effects in this time but believe me or not, I'm little bit cold at this point to sending update package and re-experience all this again. Because I've also experienced similar problems with my other package on Marketplace in it's update process. $ 24.99 is a starting price and it will be slightly increasing within the future (possible) updates (new effects). Update: With Stephanie's (Epic) great help, Chameleon will be on marketplace by August 19th.